Are you being held hostage by your current web developer? Even worse, do you not know if you are or not? Read on to see who is really in control of your company assets. 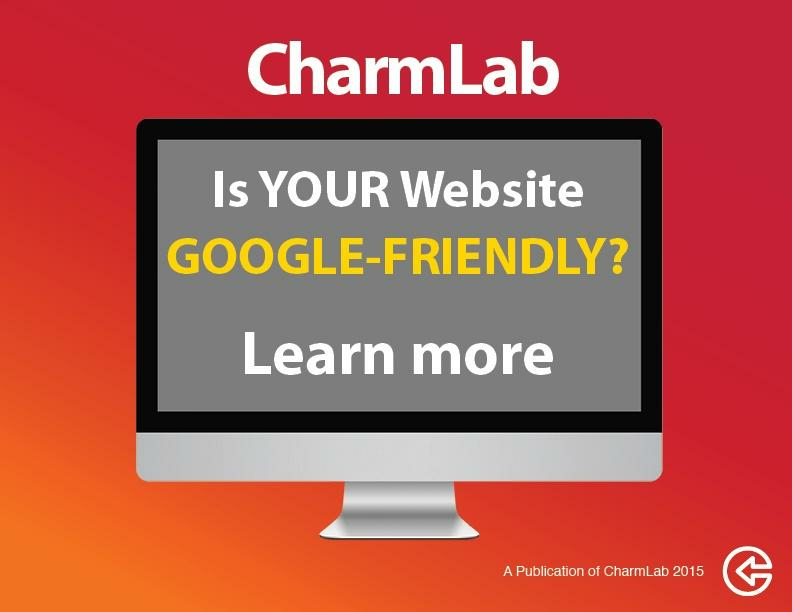 The Charmers at CharmLab work with many companies that have an existing website and suite of online properties and social media accounts that need a brand and technology update. As part of the on-boarding process for new clients, typically we need access to accounts. These simple questions below, while they seem to be innocuous, can send a client into a tailspin. 1. Where is your website hosted? 2. Who owns your domain name, where it is registered? 3. Do you have administrative access to the back of your website? 4. Who has administrative access to your social media accounts? Here’s where the pain and blaming begins as the story of the company logins unfolds. Who does the website posting? Not you? Who? A bitter ex-employee who locked you out of your Facebook account? Someone that is no longer at the company because they are deceased? Your nephew’s friend from college that helped you update a form? He’s traveling in Thailand right now? There are a few ways that you can be held hostage by a developer, and the first is if someone else has registered YOUR company domain under their account. There are two main reasons why this happens. The first is laziness. It is much easier for a web guy to add another domain to their account rather than pick up the phone and help you set up your own account and register under your company. The second reason is control. Clients change their passwords all the time without telling the web team so if the domain is under the developer’s account and not yours, then they will always have control and access to it. Either way it is bad, as YOU do not have ownership of your own website domain! Trying to change your website? Can’t get your developer on the phone? Want to fire him but afraid he will not give you access to your domain? ALWAYS register your domains under a company account, not under your web company. If you are on good terms with your former web developer but not working with them any more, it is possible for them to transfer ownership your domain to you if you set up your own account. You can read about the process of transferring a domain on Go Daddy. We help clients gain control of their domains but the best advice is to register all your domain names under your own account. Sometimes people will not give up control and you will have to choose another domain to use. This can be a huge problem because it can affect all your company collateral if you have to update email addresses, change business cards and all supporting materials. Website Hostage—Can you update your own website? Even if you work with a company like CharmLab to post blog content for you and maintain your site content, it is essential that you have passwords to your own website back end. And more than that, make sure you get a login for full administrator access. For example in WordPress or Drupal, you can have access as an admin, an editor, author or subscriber. Most web developers set up clients with an editor level user role so they can’t break the site, and never give them full back end access but the client never realizes this until it is too late. Years later when it’s time to hire a new website developer no one can get into the website. No one wants to make the break up call to get passwords! Angry web developers don’t like to answer the phone. You would be surprised how many clients do not know where their website is being hosted. Your website files need to be installed on a server so it can be connected to the internet and served when website visitors are trying to access your site. A third way for your website to be held hostage is if your web developer is the only person that knows your login information for your hosting account. If you can’t log into your web host, you typically can’t update your website. I once was asked to rebuild a site for an artist who needed to update their portfolio out of Flash, which does not work on Apple devices like iPads and iPhones. The site’s former developer wouldn’t give the site owner the login information to their hosting company, and that prevented them from hiring me (or anyone else) from downloading their website so they could rebuild the portfolio elsewhere. We waited months and months for the former developer to respond with no luck. In the end my client had to abandon the entire site, and his domain, and was forced to start 100% for scratch so he could gain control again. It starts out so innocently but social media hostage situations can blow up in your face big time! You put an intern in charge of the Facebook page. They setup a personal page for your business, not a business page (they don't know better) and made themselves a fake person to get the page up because they had their friend's brother help them after hours. Now you can’t access the page, it can’t have multiple admins because it is not a business page ,and you can’t respond to the negative comments posted from six months ago after the intern quit two weeks early with no notice. Who is in charge of your Google page? YP.COM? Yellow pages will set up a Google page for your business and NEVER give you access as an admin. Then years later when you cancel your contract because it was a colossal waste of your money, your Google page will be as populated as a desert island in the Bermuda triangle. There are positive and negative reviews, but you can’t manage any client relationships on the page because you don’t have access! I wrote this article because we have been in the website development business awhile, and this is a chronic problem that we have to help clients with over and over. I can tell you that NO ONE has their logins! You are not alone. Most clients have notebooks with their website logins but 99% of the time passwords are crossed out and no one has the new one. The old admin had it and she’s overseas now. At CharmLab we believe it is important for clients to have ALL their accounts in their name, not under our company, so the client is in control of their own assets at all times. We do not want control of you assets, we want to empower our clients, not hold them hostage! 1. Make sure YOU own your own domain name AND have the username and password for your account. 2. Make sure YOU own your own hosting account AND have the username and password for your account. 3. Make sure YOUR WEBSITE is built on a Content Management System like WordPress, and you have full admin access, too. 4. Don’t let the intern set up your Facebook or other social media accounts - make sure you have admin access to all accounts! The Charmers at CharmLab have been successfully helping clients get control of their technology for over six years and running. Have you read this blog post and realized you are a Digital Hostage and have no idea what to do next? Give us a call at 603-219-0956 or contact us.